On May 26th, at the Beijing National Aquatics Center, Elastos signed a strategic cooperation agreement with BIT.GAME. 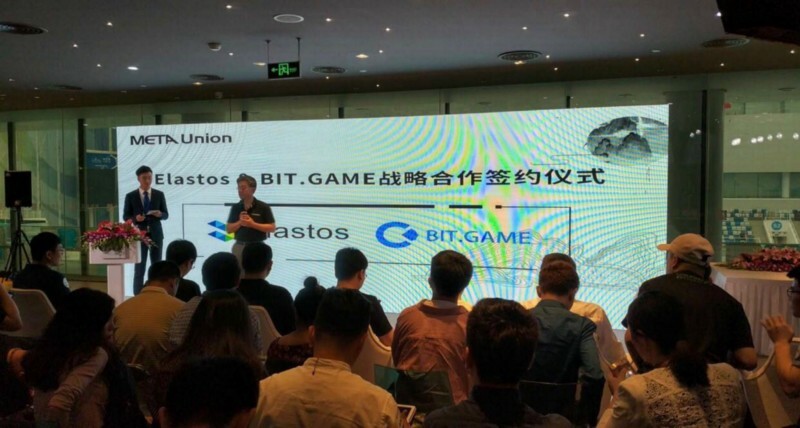 Elastos and BIT.GAME will jointly construct an ecosystem for blockchain games and launch a comprehensive cooperation for ecological development. 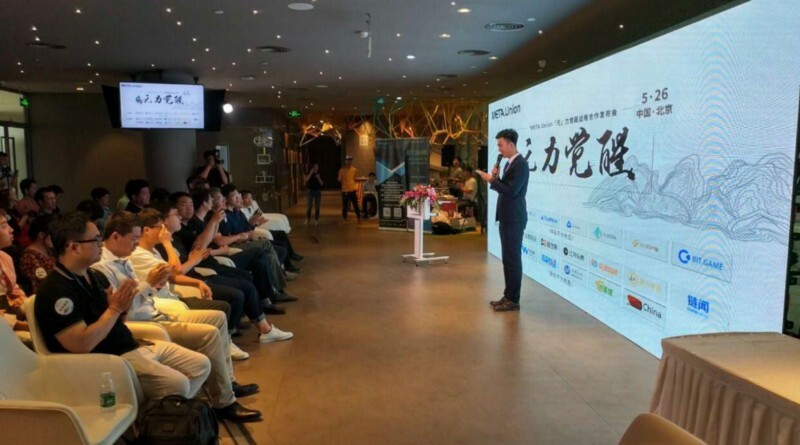 After the signing ceremony, Rong Chen, CEO of Elastos, gave a speech to illustrate how Elastos will help support the future of blockchain technology and the internet ecosystem. BIT.GAME is the world’s first digital asset exchange for blockchain games with complete development kit support for traditional game publishers based on Ethereum, Achain, TrustNote, Gamechain System, Matrix AI Network, etc. These may be off-chain circulation solution, single-public blockchain solution or multi-public blockchain solution. 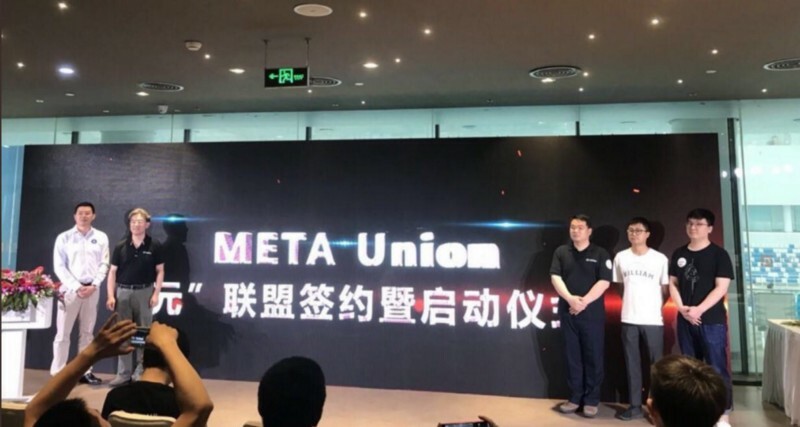 Also at the conference, Elastos announced its membership in a strategic alliance with four other public chains, collectively called, META Union. The alliance includes Matrix AI Network (MAN), TrustNote (TTT), Achain, Aurora, and Elastos. All members will work together to conduct blockchain research that will facilitate innovation, transform ideas into real world utilities, and promote blockchain technology to the world. Matrix is an open-source blockchain that supports smart contracts and machine learning services. The Matrix infrastructure is re-built with artificial intelligence techniques that help revolutionize the user experience of executing smart contracts by making it faster, easier and safer. Matrix offers the ability to build highly flexible blockchain networks that can support adaptive self-optimization and multi-chain collaboration. TrustNote is a minable public DAG-ledger with a two-tier consensus mechanism this is designed for blockchain games, social networks, and digital token issuance. Achain is a public blockchain platform that gives developers the ability to issue tokens and create smart contracts, decentralized applications, and blockchain systems. Achain aims to build a global blockchain network for information exchange and value transactions. Aurora is a suite of decentralized applications and protocols that create a fully decentralized and autonomous banking and finance platform. Aurora wants to recreate and improve upon the current financial ecosystem in a modern and decentralized way. Aurora offers a stable, private, and open financial system to anyone in the world regardless of location, class status, or privacy preferences. Elastos is honored to partner with BIT.GAME and to join a prestigious alliance that will help shape the future of blockchain technology.